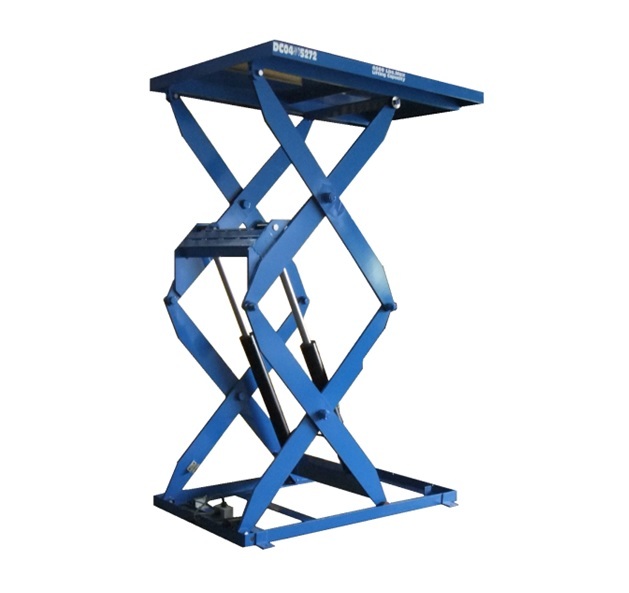 Simple scissor lift are designed to provide a high quality, rugged design for applications in the 1 000 to 2 000 lb load range. 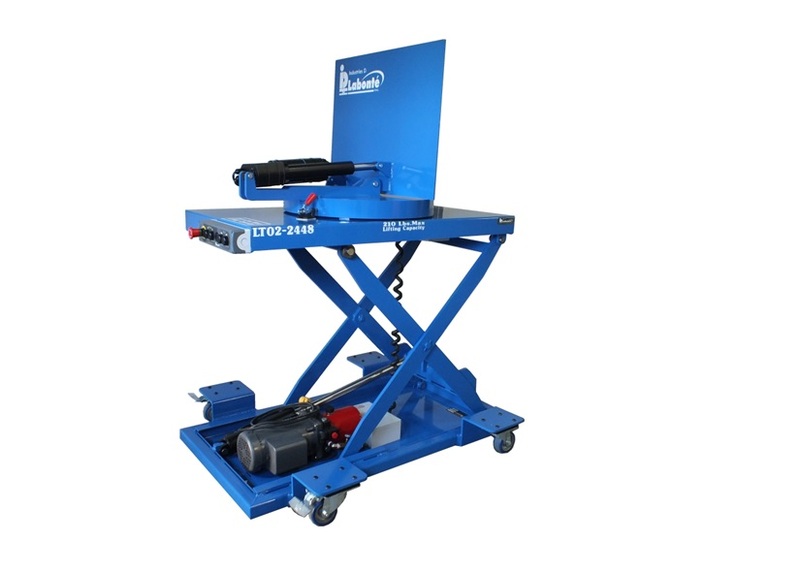 Multiple scissors lift table are suitable for higher lift applications, such as mezzanine access for storage or material transfer, where higher travel with a compact platform is required. Triple scissors lift are used in small footprint, high lift applications to access mezzanines, for processing, storage and/or material transfer. Quadruple scissor lift tables are used in small footprint, high lift applications to access mezzanine for processing, storage and/or material transfer. Ergonomic solution, which smoothly and safely rotates the work of the worker. Ideal solution to eliminate reaching or unnecessary operator movements during palletizing, depalletizing, work station assembly or manufacturing operations. Unlike other manufacturers ' designs. 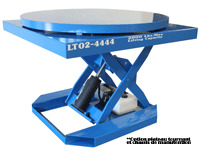 This table manual rotating tops incorporate a countersunk central cap screw to ensure the top platform cannot be accidentally lifted, removed or misaligned during load positioning or removal. Available in 2 000, 3 500, 5 500 lb capacities. 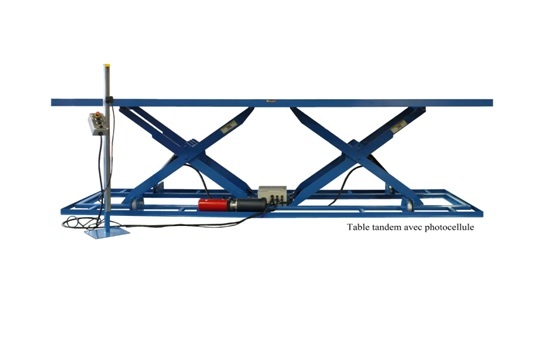 The tandem lift tables feature a longer length platform to meet the application needs of manufacturing, processing and distribution operations where materials of greater length are being handled. 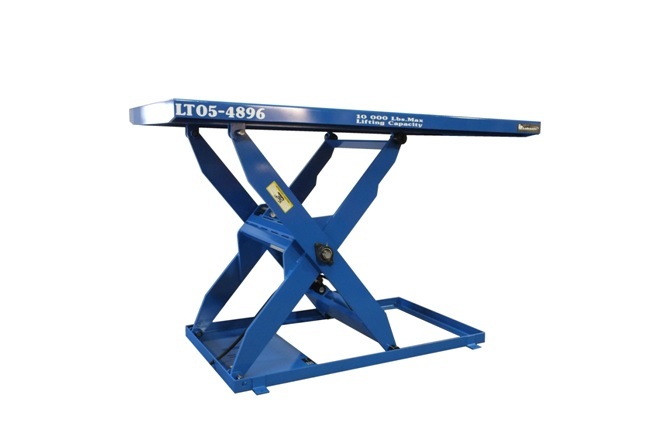 TLH-series tandem lift tables provide heavy-duty lifting capacity with a wide range of platform sizes. They are ruggedly built to meet the demands of various applications in manufacturing, processing and distribution operations where heavy loads of longer length are required to be lifted and/or positioned. Quality lift and positioning solutions to meet a wide range of custom applications. Maneuverable wheeled and tracked powered drive options are available for portability. Many sizes and load handling capacities available to suit an extensive range of positioning required. Broad range of stationary or portable man lifts used in production and maintenance applications.